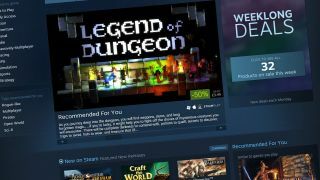 Steam gift trading is changing, which could be important if that's a thing you do. First things first: general gifting remains the same. You can buy a game directly for a person, who can then redeem and access it immediately. "We've made this change to make trading gifts a better experience for those receiving the gifts. We're hoping this lowers the number of people who trade for a game only to have the game revoked later due to issues with the purchaser's payment method." Essentially, Valve is trying to reduce instances of charge-back scams and similar—where games were bought with a credit card; traded on, potentially multiple times; and then charged back, forcing Valve to revoke the original game.